6moons: Music Reviews - "Bellezza Crudel"
My musical taste is romantically inclined. I seldom fall in love with Baroque singing. 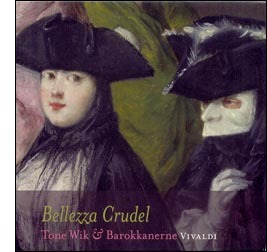 Yet with this CD of Italian Baroque cantatas, Norwegian soprano Tone Wik held me captive. Her biography is no different from that of most sopranos. She joined the choir at a young age (seven), trained locally (Norwegian Academy of Music, Oslo Conservatory of Music), pursued further training abroad (Hague), collaborated with world-renowned musicians and ensembles and eventually became equally renowned herself. But there’s something about her singing. Her tone is pure and transparent, with consistency of intonation and texture throughout her vocal range (at least as demonstrable on this repertoire). Her vibratos are sustained by emotion, not dictated by technique. She leaps and bounces through the rapid figurations with superb ease and perfect dynamic control. Her trills and melismas are elastic, her reflexes spontaneous and instantaneous. Above all, she translates the centuries-old sentiments such that modern folks like us can relate. Indeed, these four secular cantatas by Antonio Vivaldi are basically simple down-to-earth love songs (or love-sickness woes) that reflect the sentimental values of ordinary Venetian mortals of their time - probably not too different from ours at present. The red-haired priest might have taken his oath but hasn't quite cleansed his soul of worldly ties. After all, his mortal heart still sensed the Bellezza Crudel (Cruel Beauty) of love. And, he’s extremely good at relating that in his music in the most entertaining way. Don't these cantatas suggest Rossini at times? Strangely the music feels hardly dejected. Wik’s wonderfully agile and effortless runs intertwine with the equally nimble flute playing of Torum Kirby Torbo and really melt my heart away. Just as touching if not more is the last aria “Cupido, tu vedi” (Cupid, you see) from RV 679. Wik’s soulful interpretation of the uncertainty of love and the torture it brings rides on the soaring strings and pulsating harpsichord. It’s the purest form of vocal expressiveness that gets your heart racing and thumping. Barokkanerne (Norwegian for Baroquers, established in 1989 as one of the earliest and foremost baroque ensemble) offers the most dramatic accompaniment that is technically flawless at the same time. And the somber yet peaceful “Vedrò con nero velo” (I shall see the black veil of night) from RV 660 with Marais-like cello accompaniment… Well, I better stop gusing and move on to the two instrumental concerti. The recorder has been the favorite instrument for Baroque composers like Händel, Samartini, Corelli and Telemann but strangely enough, it is nowaday often replaced by the traverse flute. Vivaldi’s Concerto RV 441 was written for alto recorder and thank goodness it’s played here in its original form by the exceptionally talented Alexandra Opsahl who portrays the two dramatic outer movements as vividly as the The Four Seasons and imbues the inner movements with tenderness and passion. The magic of period instruments is perhaps best validated in the Bassoon Concerto RV 484. Whether it’s the ‘black magic' of bassoonist Per Hannisdal’s dark, warm, reedy timbre so well suited to Vivaldi’s sentimental writing in this particular piece; or the tone-picture painting skill of Barokkanerne so naturally compelling - I found the nostalgic perhaps slightly melancholy first and second movement somberly intoxicating. They evoked memories of the Venetian trip I had with my wife many years ago. It had been cold, misty and drizzling. The canals, bridges and San Marco Square were cleared of the usual touring crowds. Lights were dim on the sidewalk cafes and the mood was pensively romantic. 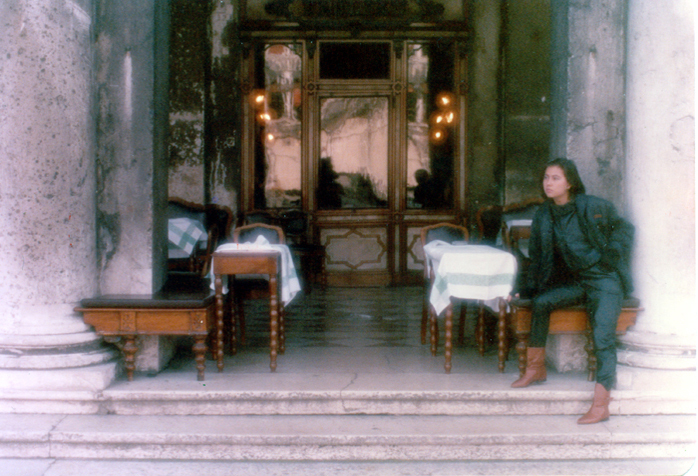 And when I read the liner notes afterwards, they described exactly the same cold wet Venetian aura. Hail Vivaldi and the descriptive powers of his music!